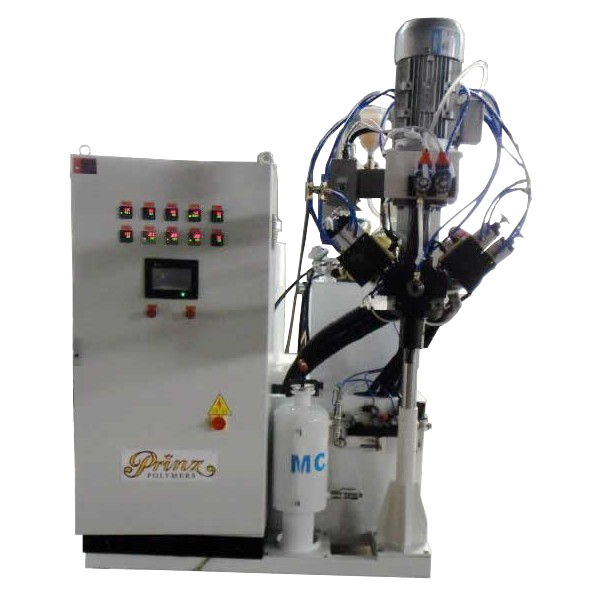 This machine is used for producing casting polyurethane elastomer product which uses MOCA and other material as chain extender, such as Butendiol or Ethacure. Different PU rubbers can be switched instantaneously to produce CPU of different materials. S1: (For pigment) :. 50 ~ 800 mpa.s (Normally temp)Output 1-10L/MIN (4-8 average)There are some weight differences when the density of the raw material and the mixing ratio of the raw material are different. Filters: Highly filtering surface Stainless steel 304. Speed: 0.0 to 6500 rpm. 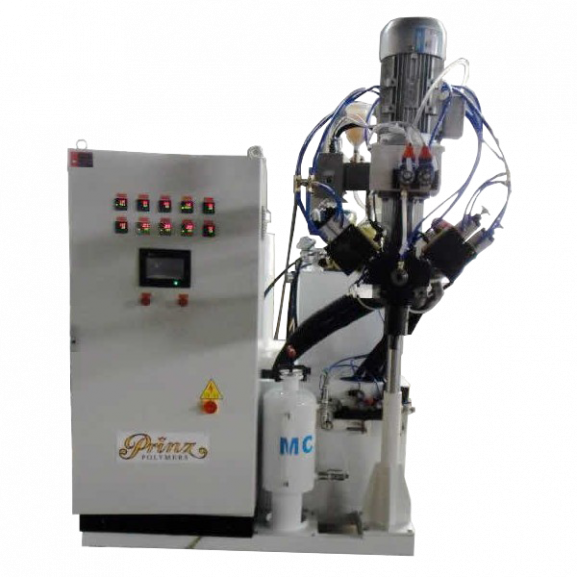 Mixing system: Dynamic mixer directly coupled to the motor. Motor: Electric controlled by an inverter. Flow range: 0.012-0.12L/min Metering accuracy: 0.3%. Motor: Electric managed by an inverter. Injectors: Single for each auxiliary with independently adjustable injection pressure. 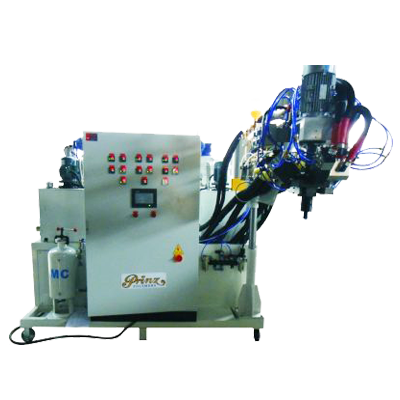 Injector: Inject raw material to mixing head directly. 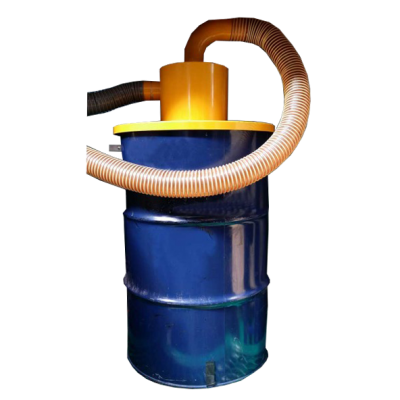 The running speed and circulation of cleaning solution, air,mixing head are controlled by each single system. It can reach the best cleaning effection . 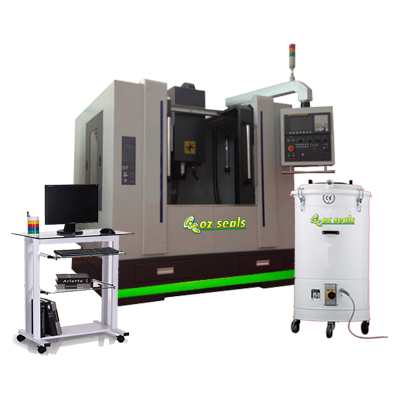 In order to save the consumption, it can also set the pre-cleaning program for each component. 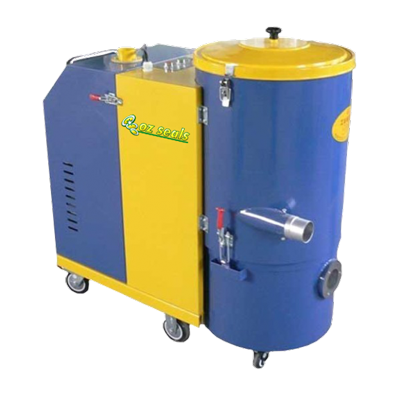 The manual cleaning type for the emergency situation of emergency power off is also available for this machine. Note : The function of automatic cleaning could also be designed. Option of cleaning solution : none inflammable and explosive Solution, like : DBE/MC. The circuit board is designed in compliance with the EC standard. Software:Both the working time and waiting time can be controlled by the software system.